This October marks the 30th anniversary of Domestic Violence Awareness Month (DVAM). For the last three decades advocates across the country have used the month of October to raise awareness about the the violence that impacts so many individuals, families, and communities. 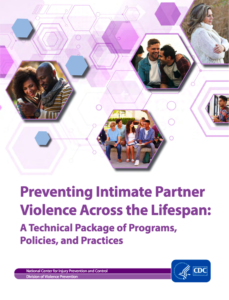 During these past 30 years we have continued to learn more about domestic violence including the prevalence and characteristics and the long-term impacts on health. DVAM has also moved beyond simply raising awareness to include calls to action to prevent domestic violence before it ever occurs. This remains a complex issue, but we know that prevention is possible and that it is happening in new and creative ways. We also know more about what works to prevent domestic violence. As has been the case for these last 30-years of DVAM, there is still more to be done. 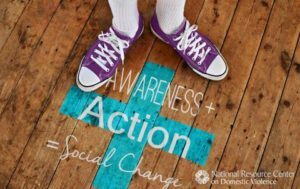 This year the National Resource Center on Domestic Violence (NRCDV) is continuing to elevate the message that Awareness + Action = Social Change and the Domestic Violence Awareness Project is hosting a range of DVAM activities throughout the month of October. This DVAM is a great opportunity to reflect on the past, plan for the future, and envision a world where whole people thrive in healthy, safe, and equitable communities.